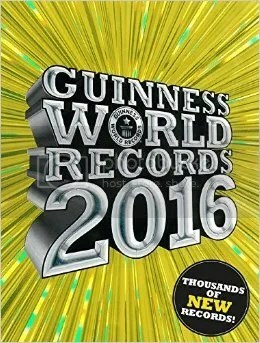 I was perusing the latest edition of The Guinness Book of World Records, and wouldn’t you know it, there was a whole two-page spread devoted to puzzly world records! It seems appropriate to start with Rubik’s Cube records, since we just featured a speed solver in Friday’s post. There are lots of world records involving twisty puzzles. The most Rubik’s Cubes solved while riding a unicycle? 18. The most solved underwater? 5 cubes in 1 minute, 18 seconds. 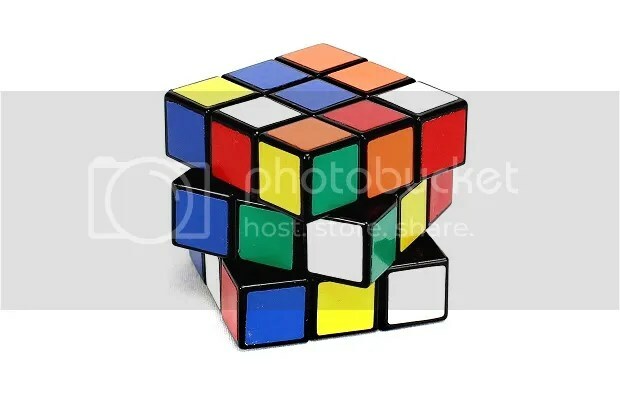 What about the smallest Rubik’s Cube? It’s only 10 mm, and it can be turned and solved just like a regular-sized Rubik’s Cube. How about the largest domino ever toppled? Prudential Financial created a domino that was over 30 feet tall, 15 feet wide, and 4 feet thick, which they toppled as the last domino in a chain where each domino increased in size until the world-record domino fell. And for an amazing endurance test, a team of 60 people maintained a domino circle that toppled for 35 minutes, 22 seconds, continuously replacing dominoes as they fell around and around and around again. 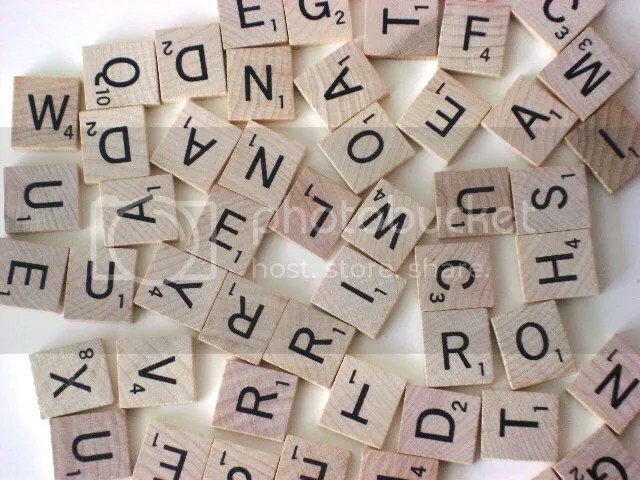 Here’s one for the Scrabble fans in the audience. The highest opening score in a Scrabble tournament is 126 points for the word MUZJIKS (using a blank for the U), played by Jesse Inman in the 2008 National Scrabble Championship. Speaking of personal achievements, Ashish Dutt Sharma of Rajasthan, India, created the world’s largest word-search puzzle! Inside a grid of 129,600 letters, you can find over TEN THOUSAND words on Sharma’s list. Of course, given its size, it’s actually impossible to have a definitive list of words in the puzzle, because of the vast number of potential letter combinations in the grid. All the words that were intentionally placed in the list mix with hundreds more formed unintentionally. 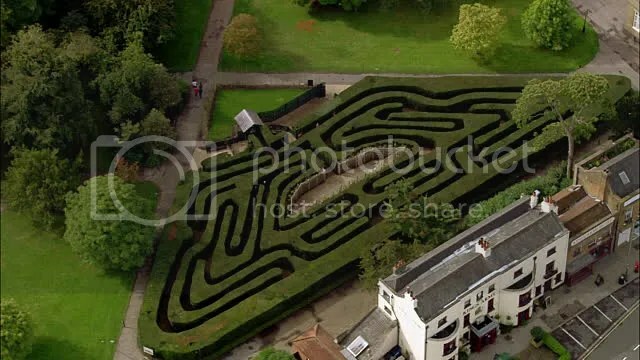 To close out this rundown of world-record puzzles, let’s return to the time of King William III and Queen Mary II of England, who commissioned a hedge maze in Hampton Court Palace in Surrey, which still stands today, more than three hundred years later, as the oldest hedge maze in the world. These are just a sample of the amazing puzzly accomplishments that have been achieved all over the world by intrepid puzzle fans. I can’t wait to see what my fellow puzzlers come up with next. This entry was posted in Games, PuzzleNation, Puzzles and tagged DIY puzzling, domino, dominoes, games, Geeking Out, Guinness, Guinness Book of World Records, guinness world record, hampton court palace, hedge maze, Hevesh5, human mattress, king william iii, Lily Hevesh, mary ii, mattress domino, Pop culture, PuzzleNation, Puzzlin' fool, rubik's cube, Scrabble, Surrey, topple, twisty puzzle, united kingdom, Word search, Word Seek by gmdirect. Bookmark the permalink.